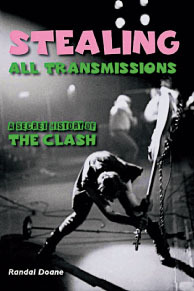 For Clash fans, the photograph on the cover of this book is instantly recognizable as the Pennie Smith-clicked image that adorned the jacket of the group's 1979 two-record bonanza London Calling. Doane sees the concert at which that iconic photograph was taken, earlier that year at the Palladium in New York, as a pivotal moment in the history of both the group and rock music, when long-form rock journalism, free-form FM radio, and an English punk band at the top of its form all came together perfectly. Doane's storytelling is orderly and informed, but still highly personal, as he recalls his own intersections with (as the sticker affixed to the jacket of London Calling brashly put it) "the only band that matters." Lee's deep curiosity and commitment to craft have led her to a career as a multidisciplinary artist, working in printmaking, cartooning, bookmaking, installations, and performance art. Between 2008 and 2009, she studied hanji, the craft of handmade paper, as a Fulbright Fellow in South Korea. The product of that exploration was an explosion of paper-based objects, including bowls, lamps, jewelry, and, well, paper — and this book, Lee's account of her search for a traditional Korean papermaking teacher. The Oberlin-born, Chicago-based, Grammy-winning new-music sextet eighth blackbird has never been afraid of the unknown. Sometimes that means half its members play harmonica on a piece while the other members trade solos. And it might mean an album conceived as a house with many doors. Eighth blackbird is happy to open these doors to explore the stories found within. Meanwhile includes world-premiere recordings of three works written for the adventurous young ensemble the New York Times calls a "polished, personable, routinely dazzling sextet." As the writer of the only song that's been recorded by Lady Gaga, Bob Marley, Ernest Tubb, Doris Day, Panic! at the Disco, and Alvin and the Chipmunks ("White Christmas"), Irving Berlin holds a unique place in American music history. Magee, associate professor of music and theater at the University of Illinois, weighs Berlin's impact on American theater, but in the process shows Berlin's broader impact on American culture and character. The Russian Jewish immigrant understood that Americans dream of more than white Christmases. This collection of poems from the last decade by self-exiled Iraqi-born Youssef, who lives in London, covers the horrors of the Saddam Hussein regime and the horrors that took place after it. Money, a poet who teaches at New Hampshire's Lebanon College and directs Harbor Mountain Press, has collaborated before with Youssef, on 2004's hybrid prose-poem sequence To day-minutes only. Money's poetry has appeared in American Poetry Review, the Sun, the Berkeley Review, the Hawaii Review, Solo, and his own collections, and in the City Lights anthology Days I Moved Through Ordinary Sounds, as well as on Garrison Keillor's podcast "The Writer's Almanac."